Wife just got her new seeds today, she's about to start propagating soon. The newest hottest one is the fattali, a play on the word fatal. Be CAREFUL with that Carolina reaper !! I believe it's Still considered the world hottest !! woodenvisions wrote: Be CAREFUL with that Carolina reaper !! I'm not good on too much heat, but my kids love chillies, my son was 2nd in a chilly eating comp here a couple of years ago. Must have the wife's genes,lol. We have the reaper here for about 5 years, she just trying a different company selling them. I used to work with a guy from Belize. He got me hooked on this sauce made with Scotch Bonnets. I like it mixed w/ ranch on a chicken sandwich. Got a kick to it! Yup there's more, I just grabbed the hottest ones. I'm like you emm, not too much heat please. bsooner75 wrote: I used to work with a guy from Belize. 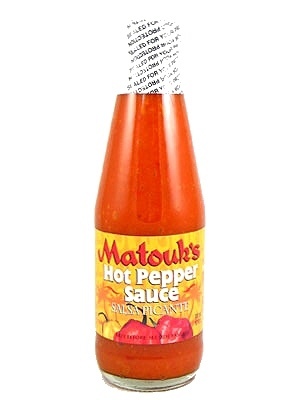 He got me hooked on this sauce made with Scotch Bonnets. I like it mixed w/ ranch on a chicken sandwich. Got a kick to it! Sooner I make a hot chilly sauce as well, I use red bell peppers as my carrying agent mixed with home grown chillies, lots of homegrown chillies. You have NOTHING listed there that the casual chili aficionado could eat. I love hot stuff, but all good things in moderation. Several years ago my oldest song, David, was with a Company and one of their Employees brought some "Scorpion Pepper Sauce" to work - - - - David said that the smallest, end of his pocket knife blade, drop that he placed on his tongue was almost more than he could stand and he likes hot stuff. Dang - OUP that caps off a tough week. If you were up this way I'd say you could come hang with us. Hope you can get somebody out. Woo Hoo, called my AC man and he said he ?should? be here within the hour. The fattali is rated at 350,000 scu, I don't know what that is, but it sounds really hot,lol.